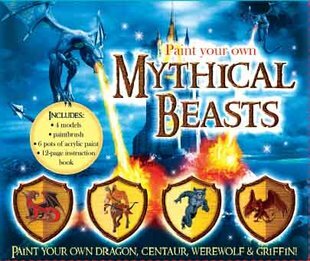 What if, when you opened your eyes in the morning, you saw a dragon, a griffin, a werewolf and a centaur? What if you weren’t dreaming? That could be you! This cool kit lets you use your painting skills to bring four creatures of legend to life. Turn the creatures of fantasy into a reality. Who said they don’t exist? Prove the doubters wrong!